Technology develops at a frightening pace, and it’s a full-time job trying to keep up with all the latest gadgets and innovations. This problem is even more pronounced in smart homes. 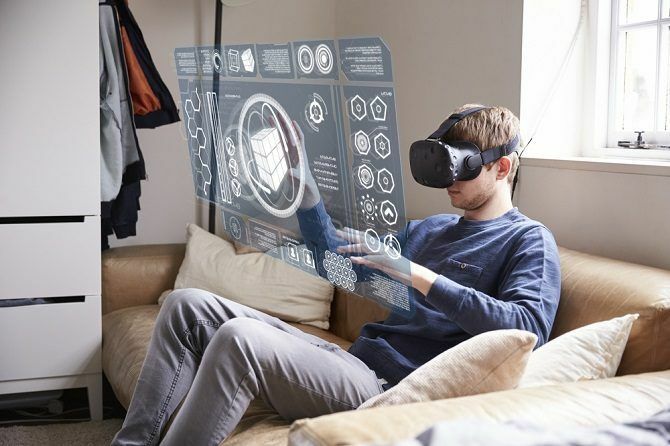 While it’s relatively straightforward to upgrade your phone or laptop, trying to turn your house into a futuristic abode could require structural changes, massive rewiring projects, new kitchen appliances, and a whole lot more. Make no mistake: electric cars are the future. Global sales of electric vehicles grew by 65 percent in 2016. So far, manufacturers have sold around 550,000 electric cars in the United States, and experts predict the number will snowball over the coming decade. By 2022, electric cars will be cheaper to own than gas-powered vehicles. The long-term predictions also make for astonishing reading. 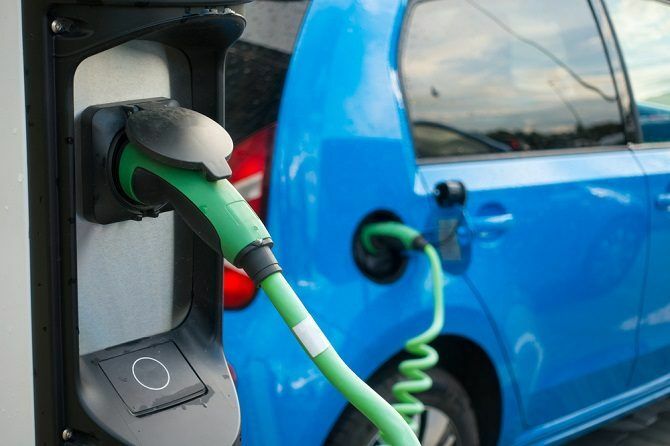 By 2040, it’s thought there will be at least 41 million electric cars on America’s roads and 35 percent of all vehicles globally will have a plug. If you want to become part of the revolution (and save money), you’re going to need an electric car charging port in your home. Once 200-mile electric cars are commonplace, it’ll let you charge your car overnight and comfortably complete your commute every day. What? You thought the future was wireless? Don’t worry, it’s an easy mistake to make. In reality, nothing could be further from the truth. All homes of the future will very much depend on cables — and lots of them. Depending on the wireless set up, it can absolutely destroy the latency for anyone connection. Not everyone’s running Cat6 through the houseWireless technology simply cannot keep up with the audio-visual needs of a modern home. Yes, it’s fantastic for certain devices (e.g. there’s no chance of your printer returning to a wired connection anytime soon), but other units are already right on the cusp of needing more bandwidth. Take your brand new ultra-high definition video and speaker rig. Your network might be able to handle it now, but what happens when the price drops and you have a 70-inch 4K TV in every room? If all those TVs are trying to access Netflix at the same time, your wireless system won’t be able to cope. Of course, it’s not just Netflix. Gartner says the average home will have 500 smart home devices by 2022, and some of these will require a lot of bandwidth. Devices such as gaming consoles and smart security systems with HD video outputs will quickly outstrip your wireless bandwidth supply. Ultimately, you will need to hardwire your devices. If you’re doing renovations or building extensions, put spare cable conduits in the walls. You might not use them now, but you’ll be thankful for them in the future. If you’re doing a new install, you should put in power lines, two CAT6 Ethernet cables, HDMI, coax cables, and phone jacks to every “entertainment point” as a minimum. And make sure you still leave some empty conduits for retrofits in the future. I’ve just listed a number of entertainment needs, but what about home automation? Experts generally agree that you should install a CAT7 cable to every sensor point in your home. That includes thermostat temperature sensors, presence detectors, smart switches, water detectors, and so on. CAT7 is more expensive than CAT6, but it offers several benefits. It can supply more power, has a lower voltage drop, is less likely to suffer from interference, and each of the two cables in the twisted pair can carry a different form of data. Anyone who has already dabbled in smart homes will know that the control process can be frustrating. There are lots of apps, lots of services, lots of manufacturers, and lots of settings you need to fiddle with. In the future, the problem is only going to worsen. If Gartner’s prediction is accurate, you’ll need a way to streamline how you access all your disparate systems. The solution is an all-in-one control panel on the wall in each of the main rooms in your house. One option is Brilliant Control. It works with Nest, Sonos, Philips Hue, Ring, SmartThings, Wink bulbs, Honeywell, and more. It also integrates with IFTTT and includes AmazonAlexa, a camera, and a speaker. According to the manufacturer, the five-inch device only takes five minutes to install and costs $199. Technology is a strange beast. On the one hand, there’s a never-ending quest to make things smaller, lighter, and less obtrusive. On the other hand, some stuff is getting bigger — much bigger. For example, it wasn’t so long ago that 30-inch television screens were considered huge. Today, 70 inches is the norm. In another five years, we might see 100-inch displays become commonplace. You’re going to need physical space for these devices. If you’re in the market for a new sideboard or TV stand, plan ahead. Make sure you purchase one that’s going to be able to support the size (both physically and aesthetically) of a large TV. And it’s not just the size of the tech. We also need space to use the tech. Virtual reality is becoming increasingly popular, as are games consoles that need you to jump, move, and dance. You need space around your TV to use these devices to their fullest extent, especially if you don’t want to accidentally break that antique vase on the mantelpiece. It’s great to future-proof yourself against the smart home revolution, but you also need to future-proof yourself against when things go wrong. If the internet goes off in your home today, it’s annoying. If the internet suffers an outage in your home in 10 years, it could be catastrophic. You might not be able to turn on the lights, arm your alarm, or operate the washing machine. Luckily, some companies are taking steps to protect us from our heavy reliance on the web. One such company is Speedify. Speedify’s service can combine any Wi-Fi network, Ethernet internet, 3G, 4G, and tethered smartphones in your home into one single connection. It uses channel bonding to split the data packets between several networks, and if one network goes down, it will automatically adjust the traffic onto the remaining networks. Buying Speedify is an easy step you can take to future-proof yourself right now. A subscription only costs $49.99 per year. How Will You Future-Proof Your Home? As we move towards an online-only world, it’s more important than ever to make sure you’re ready to embrace new technologies as they arise. Naturally, it’s impossible to know exactly what a smart home will look like in 10 years’ time, but I hope you’ve realized you can make some educated guesses. Spending the time and money now might seem like a lot of hassle without much immediate payoff, but you will reap the rewards of your decisions in the years ahead. What steps are you taking to future-proof your home against the technologies of tomorrow? What do you think we should be aware of? As always, you can leave all your tips, recommendations, and opinions in the comments below.